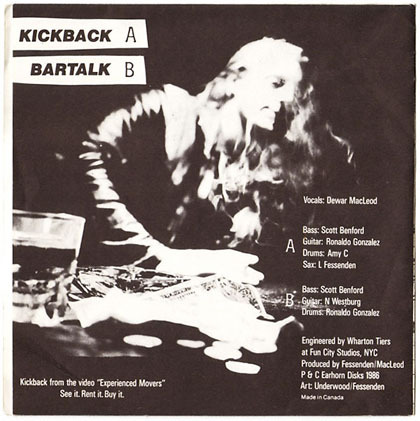 Kickback b/w Bartalk: a vinyl 45rpm single with the theme song composed for EXPERIENCED MOVERS. 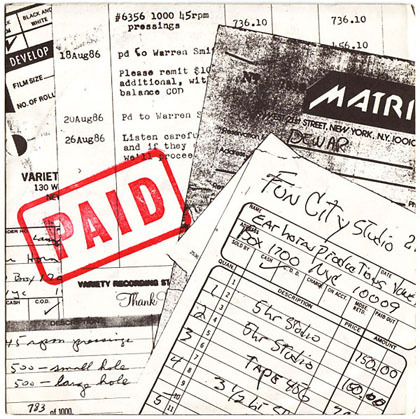 Recorded at Fun City! with Wharton Tiers, featuring musicians from Lower East Side bands from the 80s including SWANS. Laconic vocals by Dewar MacLeod, who has gone on to become a punk rock historian. Sax by Fessenden. Hand distributed in the bygone days of vinyl. Pressing of 1000 with a hand stamped and numbered cover. A must for collectors!